MPECS Inc. Blog: Merry Christmas! 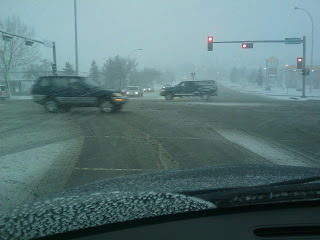 This is the pleasant surprise we woke up to in the Greater Edmonton Area this morning. It's about 1 degree Celcius, so at least we are not being frozen out. We did not swap the winter tires off yet, so this is a good thing! Sent from my SBS Integrated Windows Mobile® phone.